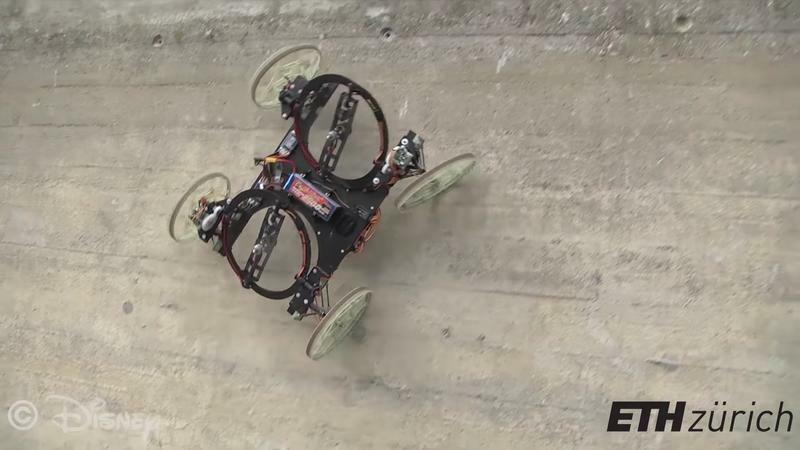 Drones may be the next generation of expensive toys, but I’m much more interested in Disney’s four-wheeled wall-climbing robot. 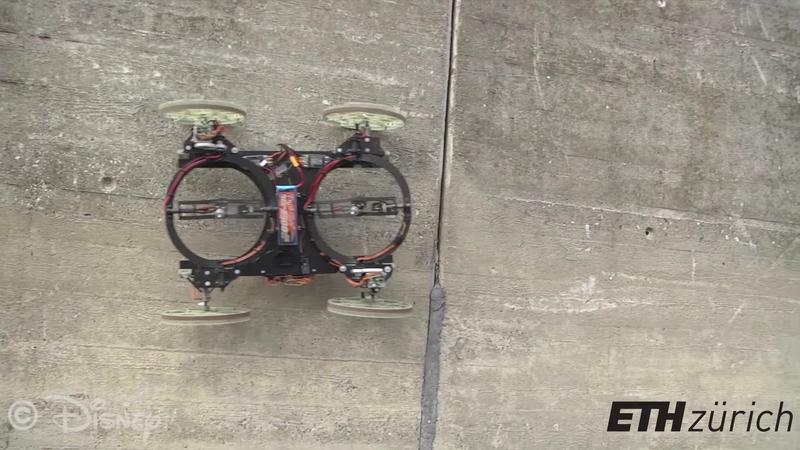 It’s like the Spider-Man of the RC car world. 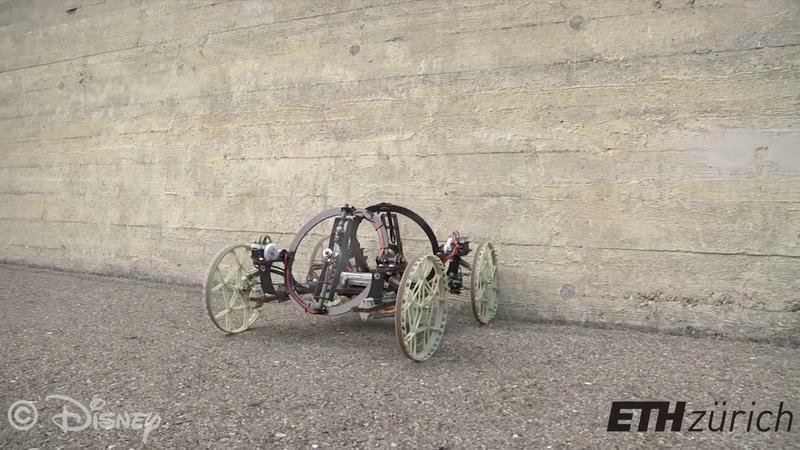 In the video above, the robot looks ordinary enough, driving around on flat ground like any old remote controlled car. But then it approaches a wall, flips its propellers, and starts scaling vertically like it’s nobody’s business. It’s impressive to watch, especially considering how effortless it all looks. 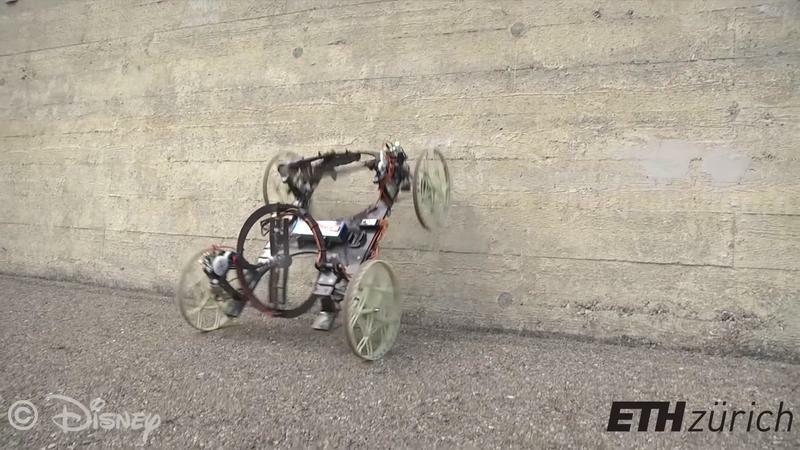 The robot, known as VertiGo, was created in collaboration between Disney Research Zurich and ETH, and uses a pair of tiltable propellers to provide thrust onto the wall. 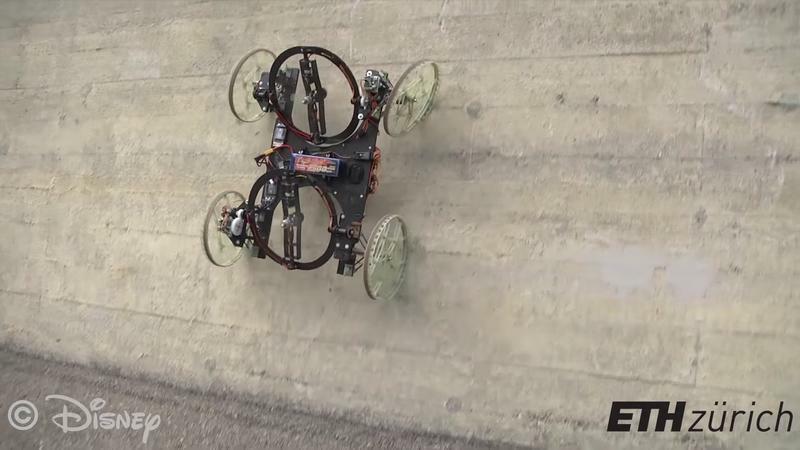 It’s the same kind of concept used for toys like the Air Hogs RC, just in a larger, more advanced package. Disney says concepts like the VeriGo are designed to extend the ability of robots to travel through urban and indoor environments. “The choice of two propellers rather than one enables a floor-to-wall transition—thrust is applied both toward the wall using the rear propeller, and in an upward direction using the front propeller, resulting in a flip onto the wall,” Disney said. Disney adds that VertiGo’s weight was minimized by using a central carbon fiber baseplate, while 3D-printing was utilized for other parts, such as the wheels. I know everybody still can’t get over how cool drones are. 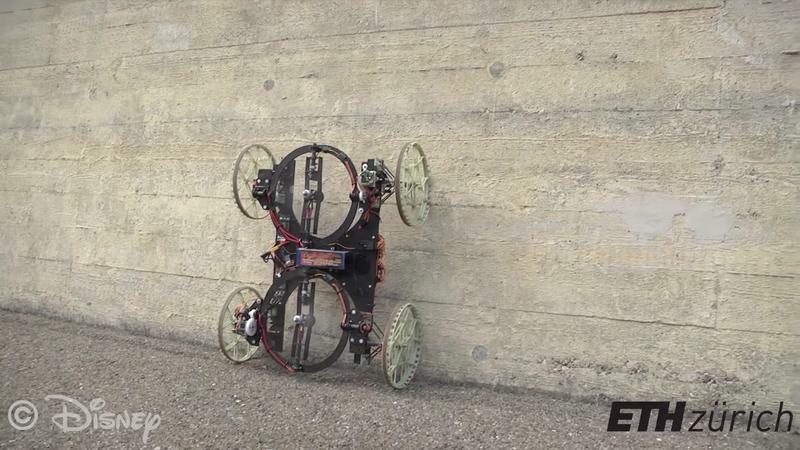 But wall-climbing cars are pretty awesome, too.